Every year, earthquakes worldwide claim hundreds or even thousands of lives. Forewarning allows people to head for safety and a matter of seconds could spell the difference between life and death. UTokyo researchers have demonstrated a new earthquake detection method—their technique exploits subtle telltale gravitational signals traveling ahead of the tremors. Future research could boost early warning systems. The shock of the 2011 Tohoku earthquake in eastern Japan still resonates for many. It caused unimaginable devastation, but also generated vast amounts of seismic and other kinds of data. Years later, researchers still mine this data to improve models and find novel ways to use it, which could help people in the future. 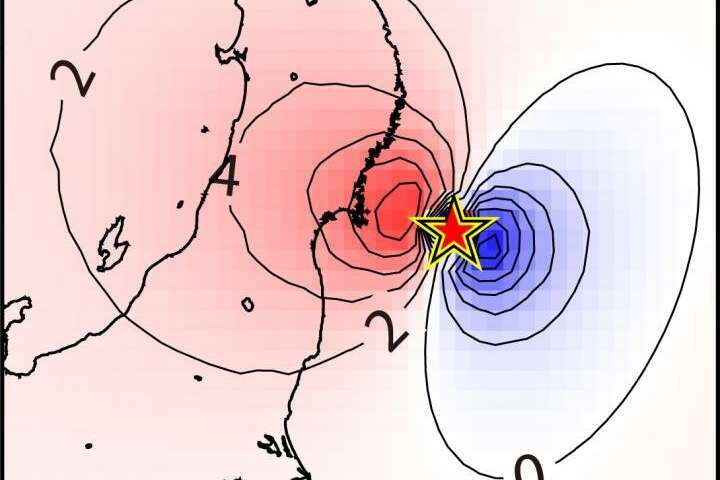 A team of researchers from the University of Tokyo's Earthquake Research Institute (ERI) found something in this data that could advance earthquake prediction research and might someday even save lives. 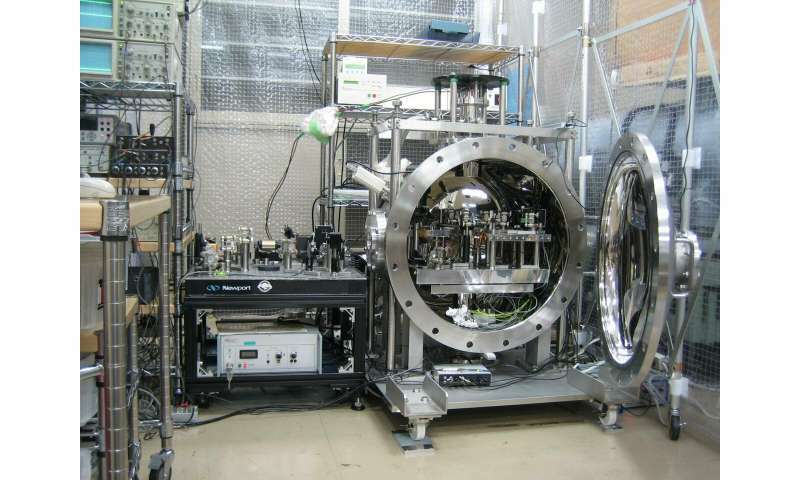 It all started when ERI Associate Professor Shingo Watada read an interesting physics paper on an unrelated topic by J. Harms from Istituto Nazionale di Fisica Nucleare in Italy. The paper suggests gravimeters—sensors that measure the strength of local gravity—could theoretically detect earthquakes. "This got me thinking," said Watada. "If we have enough seismic and gravitational data from the time and place that a big earthquake hits, we could learn to detect earthquakes with gravimeters as well as seismometers. This could be an important tool for future research of seismic phenomena." The idea works like this: Earthquakes occur when a point along the edge of a tectonic plate comprising the Earth's surface makes a sudden movement. This generates seismic waves that radiate from that point at six to eight kilometers per second. These waves transmit energy through the Earth and rapidly alter the density of the subsurface material they pass through. Dense material imparts a slightly greater gravitational attraction than less dense material. As gravity propagates at light speed, sensitive gravimeters can pick up these changes in density ahead of the seismic waves' arrival. "This is the first time anyone has shown definitive earthquake signals with such a method. Others have investigated the idea, yet not found reliable signals," said ERI postgraduate Masaya Kimura. "Our approach is unique, as we examined a broader range of sensors active during the 2011 earthquake. And we used special processing methods to isolate quiet gravitational signals from the noisy data." Japan is very seismically active, so it's no surprise there are extensive networks of seismic instruments on land and at sea in the region. 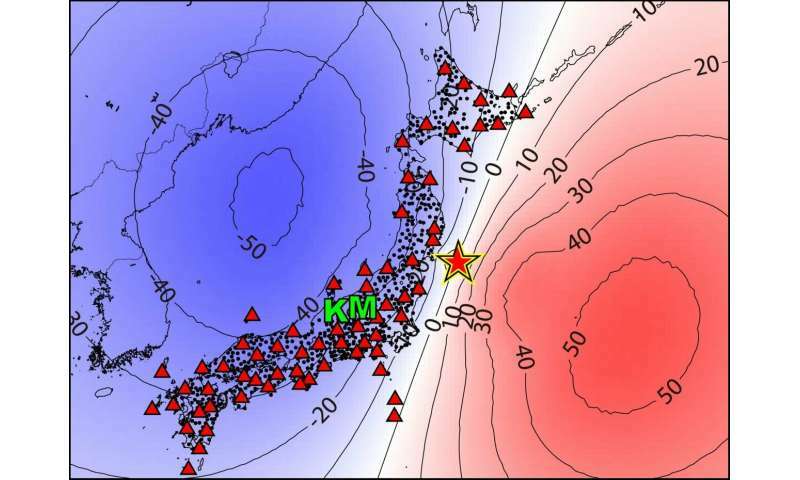 The researchers used a range of seismic data from these, as well as superconducting gravimeters (SGs) in Kamioka, Gifu Prefecture, and Matsushiro, Nagano Prefecture, in central Japan. The signal analysis they performed was extremely reliable scoring what scientists term a 7-sigma accuracy, meaning there is only a one-in-a-trillion chance a result is incorrect. The researchers say this proves the concept and will be useful in the calibration of future instruments built specifically to detect earthquakes. Associate Professor Masaki Ando from the Department of Physics invented a novel kind of gravimeter, the torsion bar antenna (TOBA), which aims to be the first such instrument. "SGs and seismometers are not ideal, as the sensors within them move together with the instrument, which almost cancels subtle signals from earthquakes," explained ERI Associate Professor Nobuki Kame. "This is known as an Einstein's elevator, or the equivalence principle. However, the TOBA will overcome this problem. It senses changes in gravity gradient despite motion. It was originally designed to detect gravitational waves from the Big Bang, like 'earthquakes' in space, but our purpose is more down to Earth." The team dreams of a network of TOBA distributed around seismically active regions, an early warning system that could alert people 10 seconds before the first ground shaking waves arrive from an epicenter 100 kilometers away. Many earthquake deaths occur as people are caught off-guard inside buildings that collapse on them. Imagine the difference 10 seconds could make. This will take time, but the researchers continually refine models to improve accuracy of the method for eventual use in the field. It is indeed a promising technique for earthquake early warning system. Looking forward to more developments on the same.